When only the utmost in sophistication and security will do, the Blacksmith design combines a tempered, acid etched back glass with intricately detailed ironwork. The result is a stunning decorative glass that is both beautiful and secure. These durable steel 32 in x 80 in pre-hung entry doors will enhance the value and beauty of your home. Double bored, the door can accept a lock set and deadbolt of your choice. PLEASE ALLOW 2-3 WEEKS FOR DELIVERY AS THE DOOR IS CUSTOM MADE. The simple elegance of our Diamanti Classic decorative glass blends an array of textured glass elements with contemporary zinc coming. 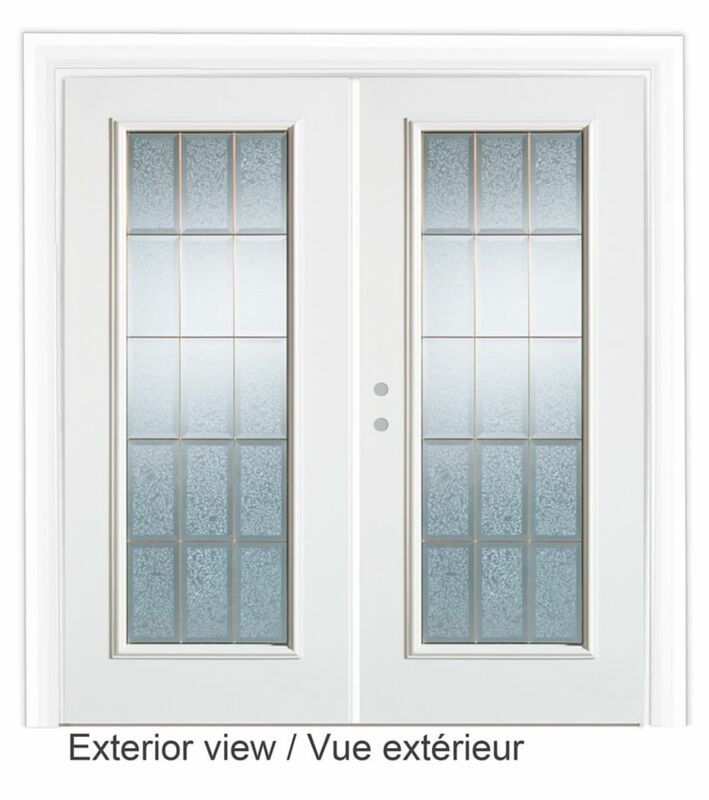 These durable steel 32 in x 80 in pre-hung entry doors will enhance the value and beauty of your home. Double bored, the door can accept a lock set and deadbolt of your choice. PLEASE ALLOW 2-3 WEEKS FOR DELIVERY AS THE DOOR IS CUSTOM MADE. Delight in how the geometrically pure Seattle glass lite series brings character, transparency and dynamic reflections to your entryway. These durable steel 32 in x 80 in pre-hung entry doors will enhance the value and beauty of your home. Double bored, the door can accept a lock set and deadbolt of your choice. PLEASE ALLOW 2-3 WEEKS FOR DELIVERY AS THE DOOR IS CUSTOM MADE.